Involves a small therapeutic group that is designed to produce behavior change. The group must be a part of an active treatment plan and the goals of group therapy must match the overall treatment plan for the individual beneficiary. 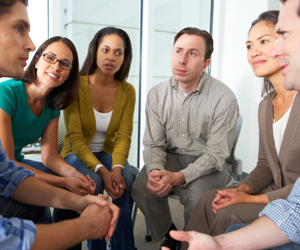 Group therapy requires a relationship and interaction among group members and a stated common goal.